Brad was going from strength to strength when it came to rock climbing, his motivation and passion for climbing as high as it had ever been. But was this passion that was driving him to succeed, also hindering his progress? We spoke to Brad to hear more about his story “Pushing the Limits”, to understand how he balances his motivation to climb with the need to be sensible in the face of danger. You’ve been climbing for a long time now - how did you get into rock climbing to begin with? high school when I made friends with someone who also climbed. We started doing easy stuff and sort of taught ourselves the ropes as it were. But to be honest, they were probably the most dangerous climbing years of my life. We had no idea what we were doing! 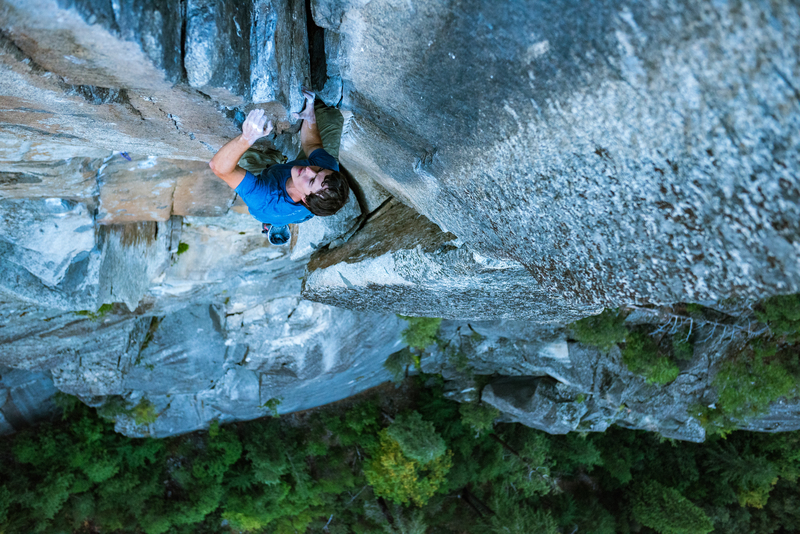 Why do you think you enjoy climbing so much and where do you get your motivation from? I’ve always been a bold, adventurous type and I think that’s why I enjoy climbing so much. Every climb is an adventure and you get such a sense of achievement from a successful climb. It’s not that I’m super physically gifted or anything – there are definitely climbers who are stronger than I am. But I think my motivation comes from the fact that I enjoy it so much and I think that’s what sets me apart. I want to be out there climbing wherever and whenever I can – being out there on these unique mountains with no one else around is pretty special. And I love that you get a mental and physical workout from it as well. 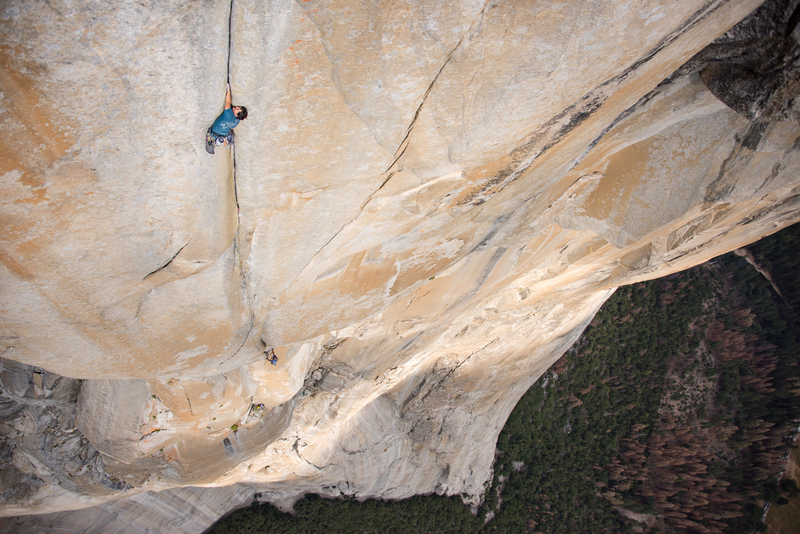 What is your mindset like when you’re climbing? you’re out with a partner and you’ve got to wait for him and he’s got to wait for you. So that’s what drew me to free soloing – it’s a really convenient way to get a lot of climbing in because you can go by yourself and don’t need to coordinate with anyone else. I usually free solo things that I know I’ll definitely be able to do – stuff that I’ve climbed loads of times before. But I started to push myself on these free solos and do things that I perhaps wasn’t completely ready for. For instance, one of my proudest climbs - but one that wasn’t 100% enjoyable – was free soloing Hairstyles and Attitudes in Eldorado Canyon. When I was pulling myself over the top I was so happy and psyched and that is the feeling that motivates me to carry on. But it was quite a mental and physical process to get there on that particular climb, and one that I started repeating quite a lot. It was so demanding and I think I just stopped enjoying it somewhere on the way up. This started happening more and more when I was pushing myself so much - I stoppedenjoying the climbs and my climbing suffered for it. When you say your climbing suffered, what do you mean exactly? time to heal and recover and I would just do something stupid and injure myself again. It was sort of spiralling into a really bad habit and a really bad mentality from which to approach my climbing. I think it all came to a head when I broke my back though. A big winter storm was coming and it was going to close the route for the year. I wasn’t going to be around when it reopened so it was my last chance to do the climb. I decided to go for it. I was 95% ready… but not 100%. And sure enough, I fell and injured myself. How did breaking your back affect you and your climbing? Even though I was pretty miserable this had happened, breaking my back was actually a good thing for me. I realised how far I was pushing myself and how much it was affecting me. I had to take a considerable amount of time off for this injury and it gave me time to think. I realised how reckless I was being. I was forced to stop and understand what’s dangerous – to work out if it was worth it. I knew deep down that I wasn’t being sensible in my climbing but it forced me to think a little harder about why. Speaking about this idea of overcoming your climbing mindset is really inspiring and motivational. Do you think it’s a message that you’ll try to pass on to other climbers and climbers who are just beginning? and your career. I’ve started teaching at a climbing centre in my off-time and it feels great to give back to the climbing community, a community that gave so much to me.